They invited us to Montreal for the weekend to enjoy a free suite at the Omni Hotel. Not being ones to turn down a good thing when we see it, we instantly said yes! 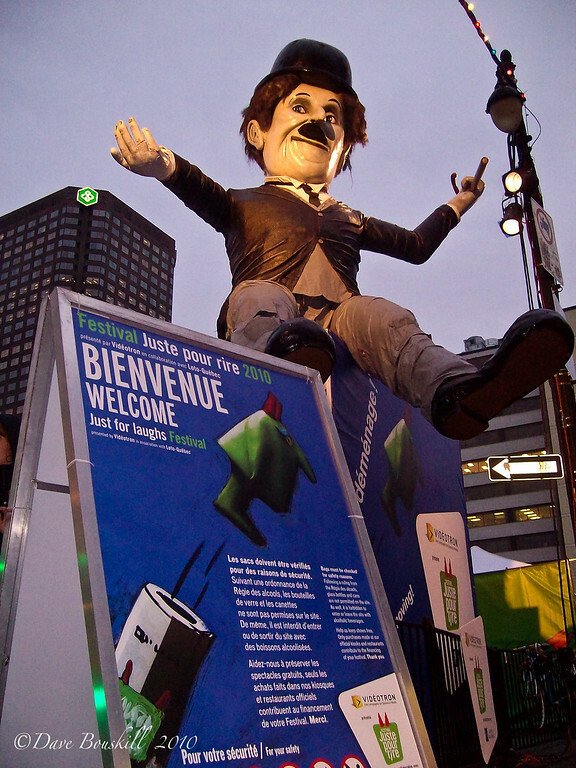 Home to the Famous Montreal Jazz Festival and Fetes Des Neiges (Winter Fest), Montreal was ablaze with energy this past weekend asThe Just For Laughs Comedy Festival was taking place along side the Montreal Circus Arts Festival aka: Montreal Completement Cirque. We didn’t organize ourselves well enough to see one of the many top acts in town for Just for Laughs. Pamela Anderson was performing this year along with Cheech and Chong and Brad Garrett of Everybody Loves Raymond Fame. But we didn’t see any of them.